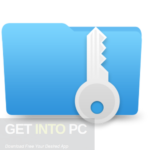 PDF Password Remover Free Download Latest Version setup for Windows. It is full offline installer standalone version of PDF Password Remover for 32/64 bit. PDF Password Remover is an application by which you can access the protected PDF by removing their passwords. It is a very handy tool and can be used for large files as well. It is an easy to use application which is free of cost and it is multilingual as well. One thing we must clarify here is that PDF Password Remover is not a Password breaker so don’t get too excited with devilish smile. It only works when you actually know the password. It will only remove that password and in future if you will open a document you will not be asked for password again. The installation process of PDF Password Remover is very simple and quick and it does not ask for more from you. Apart from pressing the Next button for a few times you don’t have to do anything else. The interface ofd PDF Password Remover is also very simple and straightforward. There are only few buttons related to opening PDF files and removing passwords. Extensive and detailed helping material has been provided that will guide you on every step. You can also remove winrar passwords using Winrar password recovery Free Download. All in all PDF Password Remover is a very handy application by which you can remove the password from the documents whose password you know. Below are some noticeable features which you’ll experience after PDF Password Remover free download. 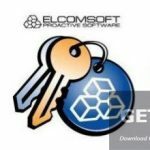 Can remove password form PDF files. Can work on large files as well. Before you start PDF Password Remover free download, make sure your PC meets minimum system requirements. Click on below button to start PDF Password Remover Free Download. 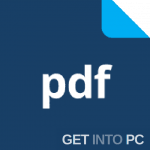 This is complete offline installer and standalone setup for PDF Password Remover. This would be compatible with both 32 bit and 64 bit windows.